(BPRW) Macy’s Celebrates Lasting Legacies During Black History Month 2019 | Press releases | Black PR Wire, Inc.
Macy’s salutes Black cultural pioneers at seven stores nationwide with special appearances by Grammy Award® winner Fantastic Negrito, fashion icon Dapper Dan, Oscar® nominated Black Panther costume designer Ruth E. Carter, Hip Hop Chaplain, Sir the Baptist, and many more. 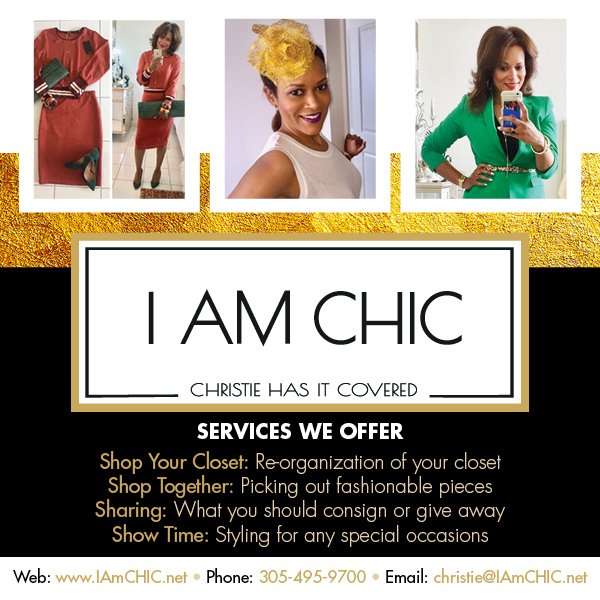 (Black PR Wire) NEW YORK--(BUSINESS WIRE)-- This February, Macy’s will celebrate Black History Month by honoring the cultural trailblazers of the past as we explore the impact they have had on the present. Leaders such as Dapper Dan, Oscar®nominee Ruth E. Carter, Hip Hop Chaplain, Sir the Baptist, Fantastic Negrito, among others, continue to inspire hope and encourage audiences through their accomplishments in areas including music, art, film and fashion. Throughout the month, Macy’s customers will have the opportunity to engage in stimulating conversations with these cultural pioneers about how they are continuing legacies in multiple disciplines. Special events taking place in Macy’s stores across the country will feature celebrity talent, performances and interactive activations. Iconic costume designer of the film “Black Panther,” Ruth E. Carter, will make an appearance at Macy’s Baldwin Hills in Los Angeles for an afternoon of insightful dialogue. Carter will share her experiences working in the industry and how Black history is an integral part in fashion and film. Grammy Award® winner and artist Fantastic Negrito will join Macy’s in celebration of Black History Month with a special performance and conversation at Macy’s Union Square in San Francisco. In New York City at Macy’s Herald Square, customers will have the chance to celebrate 100 years of the Harlem Renaissance as we celebrate the music, style and food of Harlem’s past, present, and future with fashion mogul Dapper Dan. At Macy’s State Street in Chicago, customers can enjoy a discussion and performance by Hip Hop Chaplain, Sir the Baptist. A Chicago native, Sir uses the power of hip hop’s influence to tell compelling stories about real people through his music. At Macy’s Lakeside in New Orleans, Macy’s Lenox in Atlanta, and Macy’s Aventura in Miami, representatives from Florida A&M University, Clark Atlanta University, Dillard University, and Xavier University will participate in discussions regarding Black History Month and the impact that these higher education institutions are bringing to their local communities. 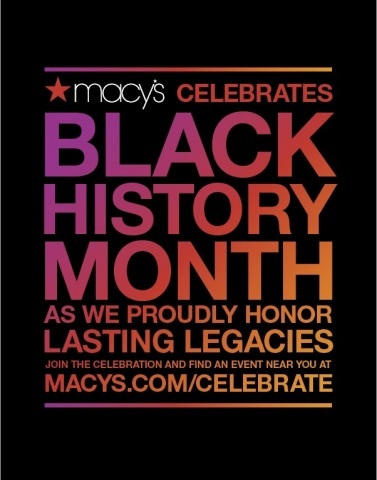 For additional information on Macy’s Black History Month festivities and special guests, please visit macys.com/celebrate. Macy's, the largest retail brand of Macy's, Inc. (NYSE:M), delivers fashion and affordable luxury to customers at approximately 650 locations in 44 states, the District of Columbia, Puerto Rico and Guam, as well as to customers in the U.S. and more than 100 international destinations through its leading online store at macys.com. Via its stores, e-commerce site, mobile and social platforms, Macy's offers distinctive assortments including the most desired family of exclusive and fashion brands for him, her and home. Macy's is known for such epic events as Macy's 4th of July Fireworks® and the Macy's Thanksgiving Day Parade®, as well as spectacular fashion shows, culinary events, flower shows and celebrity appearances. Macy's flagship stores -- including Herald Square in New York City, Union Square in San Francisco, State Street in Chicago, Dadeland in Miami and South Coast Plaza in southern California -- are known internationally and are leading destinations for visitors. Building on a more than 150-year tradition, and with the collective support of customers and employees, Macy's helps strengthen communities by supporting local and national charities giving more than $52 million each year, plus 153,000 hours of volunteer service, to help make a difference in the lives of our customers.